I'm posting over at Flock Together today! Head over there to see more of how I layered Jenna of Smitten's striped shirt dress for summer. See you there! what an adorable scarf! this look is beautiful. 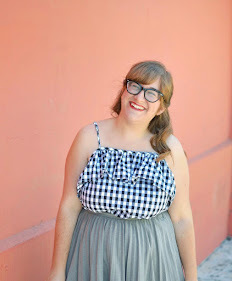 Did you get anything from Modcloth yet? This outfit is adorable. I love the dress and the colorful scarf. Loving that bag too! Super cute! Love the scarf! Saw this at FT but wanted to say I love it here.